Dates : 16th March 2019 and 8th June 2019 - Beginners Course - one day course - Cost £50 per day per person (minimum 4 persons - maximum 10 persons). If only 3 persons are booked to attend the course two weeks before the course commences then the course will be cancelled. You will be notified via email 2 weeks before if course is going ahead or not). Starting at 10am and finishing at 4.00pm. This will be held at Loggerheads Country Park, Denbighshire which there is a fee paying car park. I will give you a demonstration of the different types of dowsing tools that can be used and to see which dowsing tool you would like to use yourself. I will then show you how to use your chosen dowsing tool correctly and then for you to demonstrate to me how you use the dowsing tools and then go through the permissions that you need in order to dowse your subject. You will be shown how to visualise and understand the subject such as locating water and different types of traditional dowsing, which includes studying and understanding the subject before you start the dowsing demonstration. Some people prefer to use a witness which is a sample of what they are searching for i.e. a small bottle of water to enhance their concentration for the water subject. Some prefer not to use witnesses i.e. samples. Whichever way the visualisation is very important and vital to the process you visualise it in your mind or enhance it with a sample of the subject you are looking for or both including also wetting your hands to improve the sensitivity of your body when searching for water sources..
Once this has been done and everyone is happy with the procedure and understands everything that we have gone through so far we will then go through the various types of dowsing which I will demonstrate to you which starts with learning how to find your own aura and other peoples aura and how to learn to expand the auras by again using your permissions and of course the permission of the other person. You will also be advised to be aware of false images and reaction lines which will affect your ability to dowse. I will explain and show you what is a reaction line and explain how to train your mind to eliminate the reaction line to the source that you are looking for. After lunch we will go out on site at Loggerheads and do a practice of what you have learnt so far. This cannot be guaranteed and depends on the numbers who attend. At the beginning of the day we will have to check out our positivity before we can start our dowsing and periodically through the day. I will demonstrate this to you at the time. At the end of each day we will have to ground ourselves to save us becoming tired. Later at the end of the day if again sufficient time we will have a question and answer session but please feel free to ask me during the course any questions that you may have and I will do my best to answer them. There will be a break for lunch between 1.00pm to 2.00pm, please provide this yourself or you can purchase refreshments at Loggerheads which has a lovely cafe there. I will also be providing tea, coffee and biscuits during the morning. If you wish to book this teaching course a deposit will be payable up front of £25 non returnable unless I cancel the course then the deposit will be returned to you. Date: 13th July 2019 - Beginners Course - one day course - Cost £50 per day per person (minimum 4 persons - maximum 10 persons. If only 3 persons are booked to attend the course two weeks before the course commences then the course will be cancelled. You will be notified via email 2 weeks before if course is going ahead or not). Starting at 10am and finishing at 4.30pm. This will be held at Loggerheads Country Park, Denbighshire which there is a fee paying car park. We go over the Beginners Course briefly, especially for those who did not attend the previous beginners courses in March and June to make sure everyone understands the procedures and including the correct wording for the dowsing question. We then go out on site to do the practical dowsing using what we had done in theory at the previous beginners courses before starting with earth energies, checking and looking for black energies and how to recognise what are good and what are bad energies. We will then proceed to look for water sources beneath the ground in the Loggerheads Country Park using your chosen dowsing tools. At the end of the day will will have to ground ourselves to save us becoming tired. I will of course demonstrate this to you at the time. There will be a break for lunch between 1.00pm and 2.00pm, please provide this yourself or you can purchase refreshments at Loggerheads which has a lovely cafe there. I will also be providing tea, coffee and biscuits during the morning. Date: 7th September 2019- Advance Course - one day course - cost £55 per day per person (minimum of 4 persons- maximum of 10 persons. If only 3 persons are booked to attend the course two weeks before the course commences then the course will be cancelled. You will be notified via email 2 weeks before if the course is going ahead or note). Starting at 9.30am and finishing at 5.00pm. This will be held at Loggerheads Country Park, Denbighshire of which there is a fee paying car park and also cafe for refreshments. For this course please bring your laptop or ipad with you. If you do not have a laptop I will be providing mine for anyone to use which I will help you with. 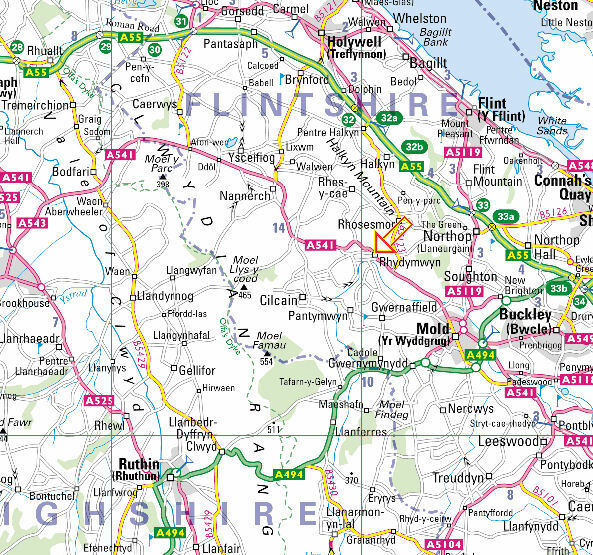 What does remote map surveying mean for those of you who do not know? The method originally was to use ordnance survey maps to dowse remotely of certain areas around the world for what they were looking for. Using ordnance survey maps was useful but not very accurate and very much time consuming because of the smallness of the maps you were having to work on. Now that modern technology has moved forward into the computer world we as dowsers/diviners can also move into this world by using google earth via the computer where we get the actual pictures of the fields close up by zooming into the target area which gives you a greater accuracy of the area you are searching for than using the ordnance survey maps. This method can be used for archaeology dowsing, water dowsing, earth energy dowsing such as detrimental energies going through properties etc., also healing/wellness. It can also be used for treasure as well but you have to ask for permission as you do for all forms of dowsing before proceeding. Also the other advantage of using this method you can get within 30ft to 40ft of the actual water source which saves a lot of leg work and time. These are some of the pluses using this method. I will also refresh you on how to go through the procedures on checking to make sure you are still positive and that you have not gone negative. This will be done periodically throughout the day as you could go negative without realising it. Once you are aware that you are negative you must find good energy field so that you can re-charge your energy back up and then check for your positivity. The rods will tell you whether or not you are fully charged up or not you just ask the question. We will then make use of google earth using your laptop to look at a location which I have given to you to check out for earth energies such as electro magnetic or subtle energies, electromagnetic spectrum, low level electromagnetic radiation, geopathic energies & subtle energies. This is to see if there are any of these energies in the area that I have given to you. If you find any of these earth energies you then need to mark these earth energies out on the google earth map. I will then demonstrate how you do this at the time via Google Earth. This will show you the advantages of using google earth remotely via your laptop/ipad before going on a site visit as this will give you an understanding of what you can expect on site. Depending on where the location is that I have given you and your findings we will then go out on site to that location to check out and confirm if that form of energy is there comparing it with your google earth map that you have done in the meeting room and then mark the location out on site with flags or markers which then should confirm your findings. We then return to the meeting room and create a colour coding system personal to you using coloured crayons to protect that area from that particular detrimental energy by creating a circled shield three times greater than the area in question to deflect the bad energy away from the protected area. I will try and help you to determine what your personal colouring will be for that particular energy form as there are many different types of energy forms and colour codes. We then revert back to your original drawing of the detrimental energy going through that area in question you then check it out again and if you have done the colour coding correctly if so the immediate area should be clear as it would of moved the detrimental energy away from the site you have marked out if it is done correctly. To confirm that the detrimental energy has moved we then visit the site in question for a second time which should show that it is not going through that particular area, it will be going around the area and not through it. At the beginning of every course we will have to check out our positivity before we can start our dowsing. I will demonstrate this to you at the time. At the end of the day we will have to ground ourselves to save us becoming tired. Later at the end we will have a question and answer session but please feel free to ask me any time during the course any questions you may have and I will do my best to answer them. There will be a break for lunch between 1.00pm to 2.00pm, please provide this yourself or you can purchase refreshments at Loggerheads which has a lovely cafe there. I will also be providing tea, coffee and biscuits during each day. 7 hour courses start at 9.30am and finishing at 4.30pm. How to use dowsing tools. Where you will learn how to find water beneath the ground. Find out the quality of water and quantity of water beneath the ground. You will also learn how to distinguish fracture zones and shatter zones, faults and flow aquas which all carry water sources. We will also dowse on site for the underground rivers at Loggerheads. 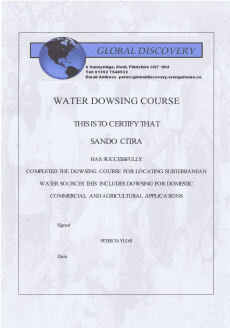 When you have proven that you can succeed you will be given a certificate confirming your ability at finding water. Learning how to dowse to find natural gold and minerals by map dowsing and understanding the geology of the rock formations carrying the Minerals. Sometimes field studies take place, which includes dowsing for mines, tunnels and caves. To learn to map dowse to find natural oil & gas including locating oil & gas fields and structures. There are also courses on geopathic stress and sick buildings, which will cover earth energies, bad energies, radon gas, low level radiation, and low level magnetic radiation natural and manmade and many more forms of energies. This will also involve being shown how to use and change energies to the benefit of mankind, this will also include the transformation of water changing the quality of the water to a higher standard plus any other changes which will be covered. The dates for the one to one or group workshops to be agreed by all parties. Please either email or telephone me on 01352 754052 and if no reply please leave a message and I will get back to you as soon as possible. A FRAMED CERTIFICATE WILL BE PROVIDED AT THE END OF YOUR COURSE AT A COST OF £10 PLEASE LET ME KNOW BEFOREHAND IF YOU WISH TO PURCHASE THIS. There is also a car park charge at Loggerheads of £5 per day payable by yourself. Also there is a cafe for you to purchase refreshments located at Loggerhead Counrty Park nearby to the teaching room. THIS IS THE FIRST STAGE OF LEARNING TO DOWSE FURTHER ADVANCED DOWSING COURSES UP TO MASTER CLASSES CAN BE GIVEN COSTS WILL BE THE SAME AS ABOVE. 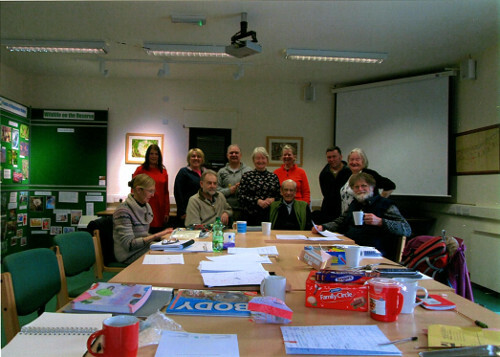 These photographs are showing the group together and also a talk given by Lord Atherton in relation to how dowsing and Homeopathic work together. Peter runs a local group called "Global Dowsers North Wales Group" which was affiliated to the BSD and holds monthly workshop meetings for beginners to professional level - this is a seven hour course which is held at the moment meetings are held at Rhydymwyn Valley Works, Rhydymwyn, Mold North Wales. They are held every first Saturday in the month and you are notified by email the date of the next meeting or any changes to the date of the meetings and what is happening at each meeting. Coffee, tea and biscuits are provided. We would appreicate a contribution of £10 per person to cover costs such as the teaching, running of the website Global Dowers North Wales Group, insurance cover, plus refreshments. Start time 9.30am finish at 4.30pm for the workshop. New members welcome, please contact Peter by email or phone if you wish to become a member of the Global Dowsers North Wales Group. There is no joining fee just come and enjoy. Peter also holds group tuition and one to one tuition covering water, oil and gas, gold, and geopathic stress (including dealing with sick buildings). These courses can be from one to four day courses, depending on the student's ability and experience. Coffee, tea and biscuits are provided To find out more information, including costs please ring or e mail Peter. Peter teaches dowsing from beginner level through to professional level, and is available for one-to-one teaching. He is on the BSD professional register for water, natural resources (minerals/gold, oil and gas), concealed site features, archaeology and site energies (healing of sick building, geopathic stress, and map dowsing. 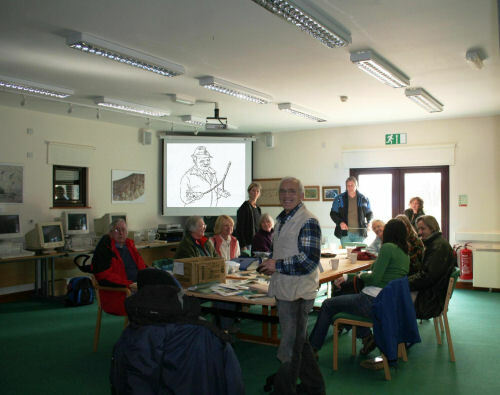 The dowsing courses take place at the Rhydymwyn Valley Site Visitors Centre. 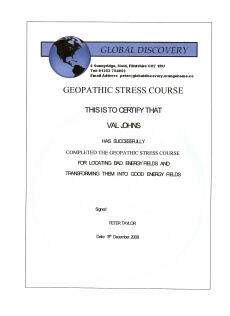 These are the certificates presented when you have proven you can find water and/or locate and change geopathic stress. This can also be done by map dowsing so that the energy is changed from bad to good remotely. As I am qualified in all these fields I can give out my own certificates free to the students who prove to me their abilities in the fields of the various dowsing courses which then will also give clients confidence in their abilities. Please look at the sample certificates available. The certificates are A4 size, buff coloured and presented in a frame. 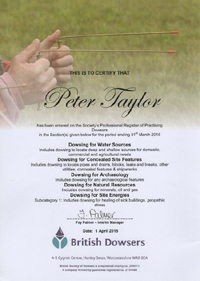 Please phone or e-mail to book onto a dowsing course with Peter. 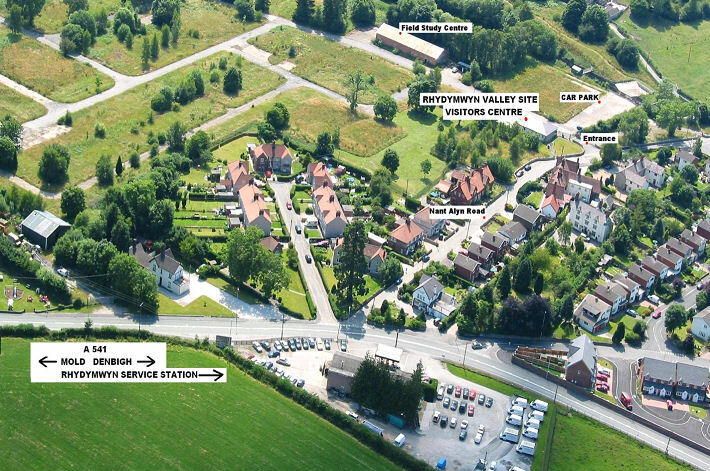 Rhydymwyn Valley Site Visitors Centre is easily accessible off Nant Alyn Road. 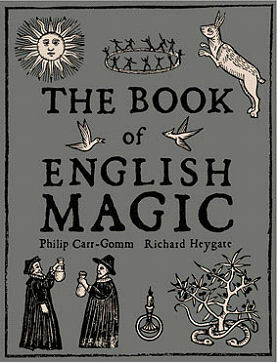 Peter contributed material to 'The Book of English Magic'.